It’s a fact of life: With every day that passes, humans and animals get older. And just like humans, as animals go through life, maturing from infants to older adults, their needs change. Animals living in accredited zoos and aquariums have constant access to resources such as food and veterinary care. They also don’t face predatory pressures as they would in the wild and as a result, they can live very long lives – far longer than they would in the wild. 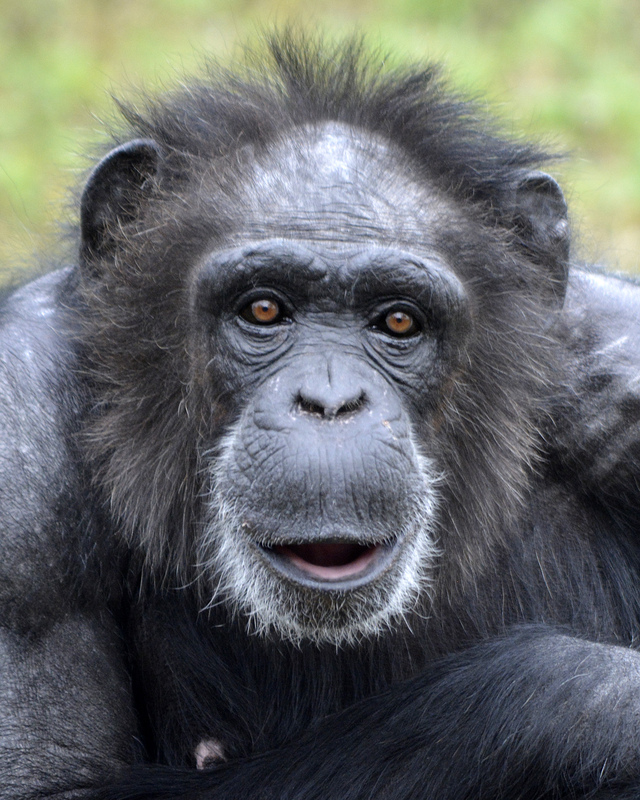 As zoos continue to evolve, so has our understanding of what it means to care for aging animals. Careful monitoring of their health and any physical limitations that may challenge them as they grow older allows us to make adjustments as necessary. Older animals may not be able to move around as easily as they once did. We may therefore need to modify their physical surroundings to ensure their ability to use their space fully. Advances in veterinary science mean that we can treat any concerns that arise – and in some cases, act proactively to prevent them. Just as some of us may be providing supplements to older cats and dogs sharing our homes, similar measures are also available to treat age-related ailments of animals living in zoos. For example, animals can develop cataracts; several of the crested penguins living at the Detroit Zoo have undergone surgery to address their visual impairments. This has allowed them to better navigate through their wonderful new home at the Polk Penguin Conservation Center and to more fully interact with the other penguins. Zoos have a profound responsibility to all of the animals in their care, including a commitment to ensuring great lifelong welfare. The staff at the Detroit Zoo care for and about each individual animal, through every stage in their lives. As we celebrate Senior Day on April 26, we honor both our human and animal friends in their golden years. 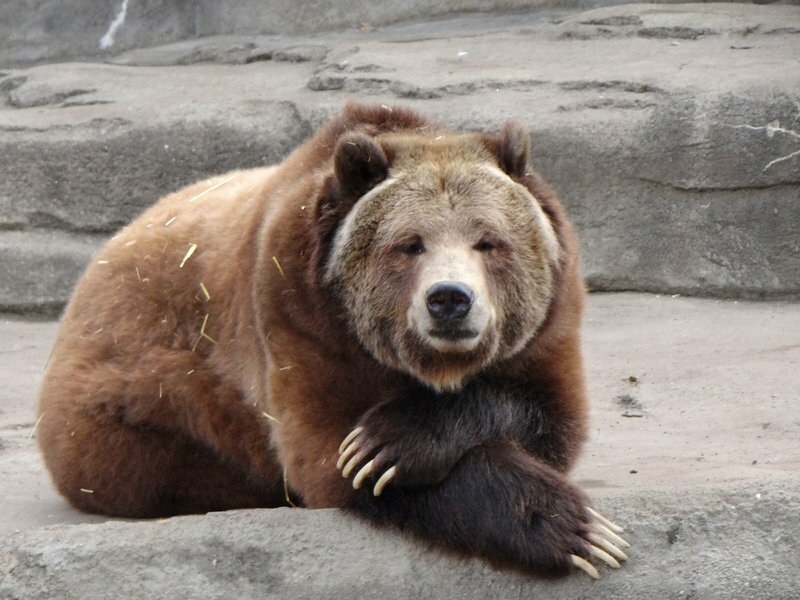 For the animals at the Detroit Zoo, this includes Kintla, a 33-year-old grizzly bear; Bubbles, a 46-year-old chimpanzee; Knick-Knack and Giovanni, 23-year-old miniature donkeys; Homer, a 25-year-old Hoffman’s two-toed sloth; and Lily, a 26-year-old Przewalski’s horse. Stephanie Allard, Ph.D., is the director of animal welfare for the Detroit Zoological Society and oversees the Center for Zoo Animal Welfare. 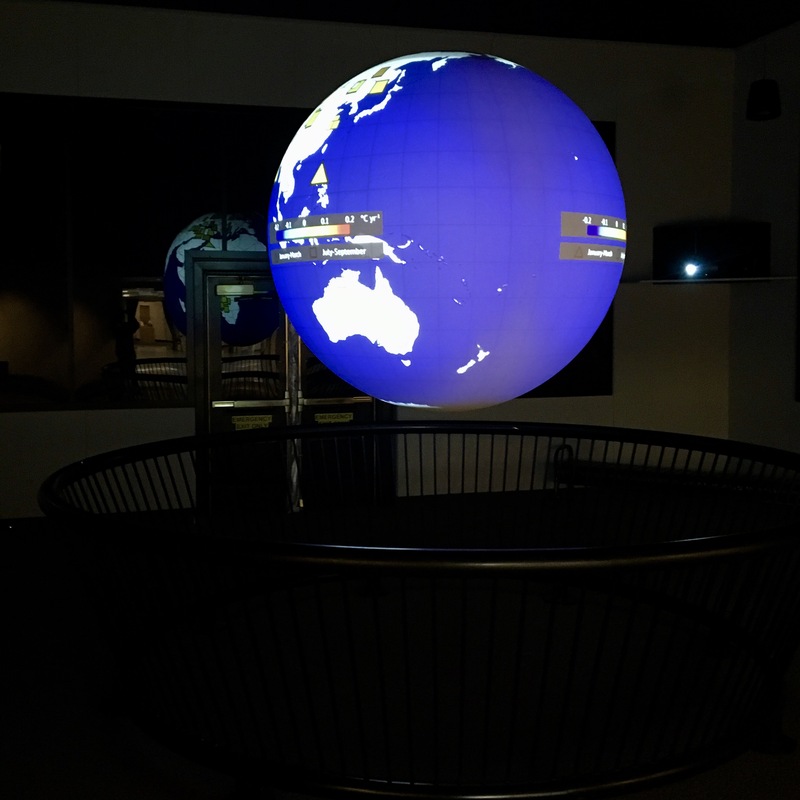 We are thrilled to welcome scientists and educators from all over the world for the 2017 International Science On a Sphere Users Collaborative Workshop April 25-27 at the Detroit Zoo. It is an honor to be the first-ever zoo selected to host this global workshop, along with the National Oceanic and Atmospheric Administration (NOAA), and share how we can engage the community with science by combining important environmental messages with technological advances. 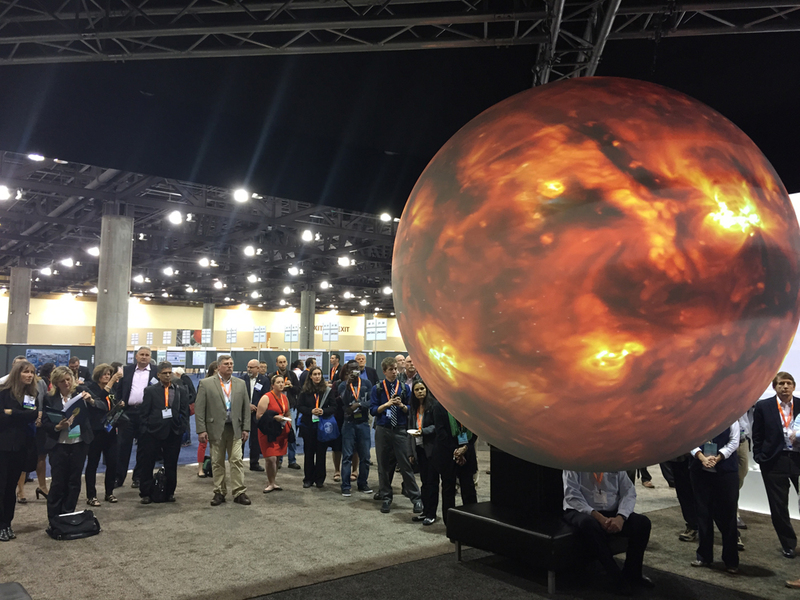 Science On a Sphere (SOS) is a 6-foot spherical display system developed by NOAA that can showcase data simulations as visual media regarding climate, weather and animal movement. While it is used by more than 130 museums, science centers and other organizations to help people understand global connections between land, water and the atmosphere, the Detroit Zoo is one of only three zoos in the country to feature SOS. It is located in the Wildlife Interpretive Gallery and is free with Zoo admission. The upcoming workshop is titled “Pole to Pole: Connecting People, Places, Animals and Spaces”. Topics will be focused on the various ways SOS can be used to educate audiences of all ages, especially about animals, habitats and the environment. Most of the communication among the SOS community happens online, so having the chance to meet in person once every 18 months is a benefit both personally to those who work on this system, and professionally – giving participants the chance to advance the educational capacity of this technology as a larger group. If you haven’t spent time with SOS during your Zoo visits, we encourage you to stop and take a look. This amazing piece of technology is regularly updated with different content. If you love technology and want to see the types of data available on a flat screen, using SOS Explorer is a great place to start. This is also a great tool in the classroom, which can complement a field trip to the Zoo either before or after your visit. You can find it at https://sos.noaa.gov/SOS_Explorer/. The content you see on the Detroit Zoo’s SOS is ever-changing, so each time you visit, there’s a good chance you will see and learn something new. Carla Van Kampen is a curator of education for the Detroit Zoological Society. 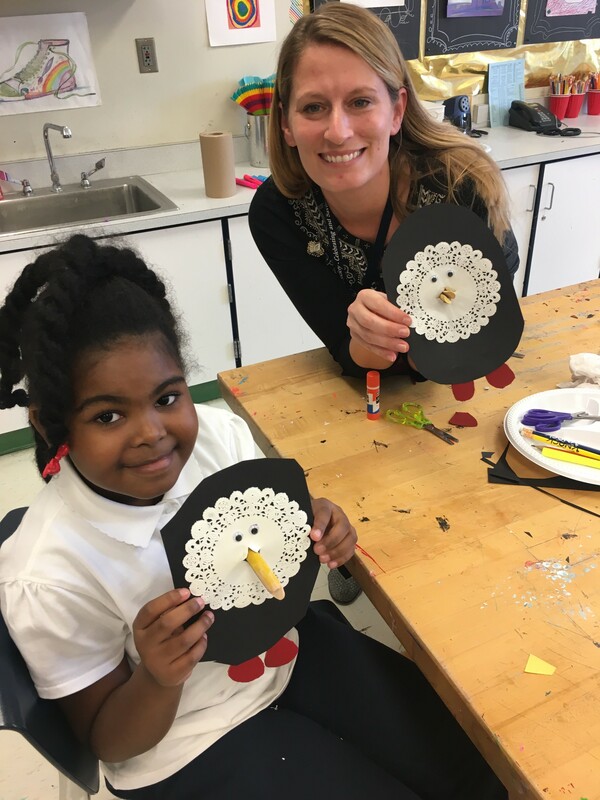 The Detroit Zoological Society (DZS) recently partnered with ArtRoad Nonprofit, an organization that provides art-based activities, instruction and supplies to elementary schools in southeastern Michigan that are lacking in art programs. In addition to the incredible educational opportunities this organization shares with hundreds of students annually, they also reuse donated items within their art projects in order to reduce waste. This aspect of the organization especially appeals to us as we continue with our Greenprint initiatives and award-winning efforts to create a more sustainable future. 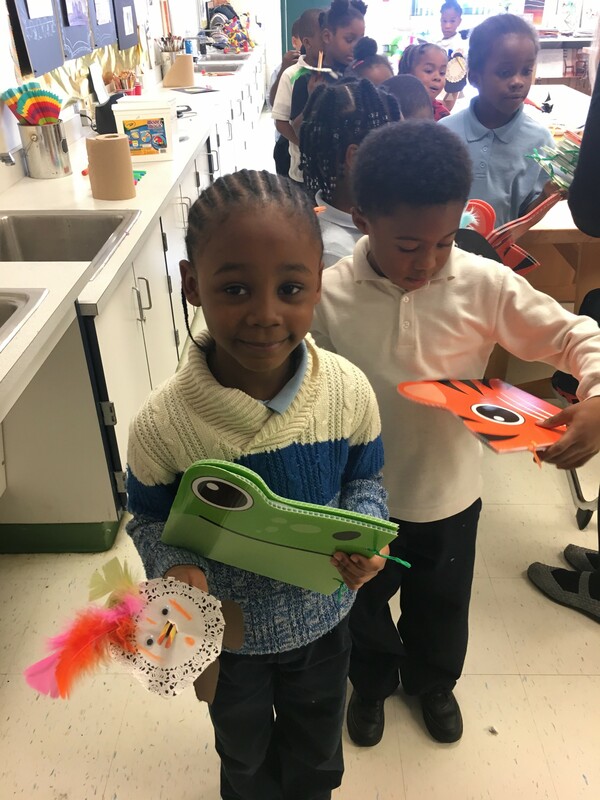 I recently had the opportunity to volunteer in an ArtRoad classroom, where we worked with students on repurposing various items into works of art. The students greeted me with a warm welcome, and knowing that I work at the Detroit Zoo, created penguin art using recycled vinyl for the birds’ feet. In turn, I provided the students with journals that DZS staff created using recycled millage signs. We hope these journals will help the budding artists capture their imaginations on paper. Recently, ArtRoad collaborated with the Alliance for the Great Lakes to collect recyclable materials and debris from the shorelines of Lake Michigan. Using these items, more than 150 elementary school students spent two months creating five fish sculptures, one for each of the five Great Lakes. This effort aims to bring awareness about the effects plastic pollution has on freshwater ecosystems. 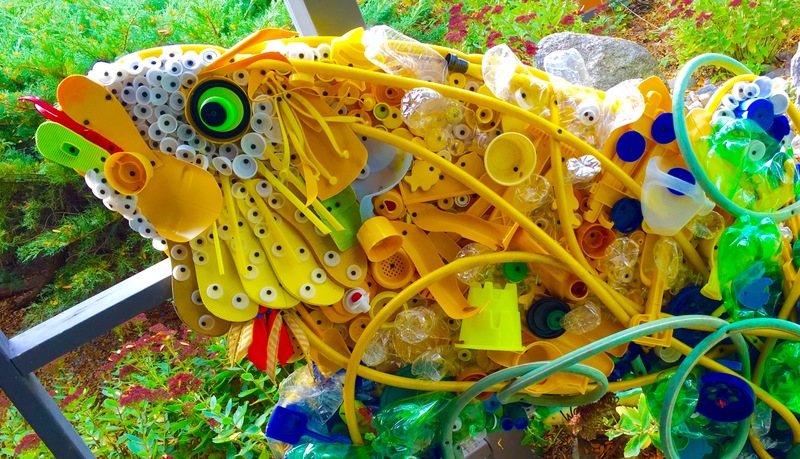 We are excited to be able to share this educational and impactful project with Detroit Zoo visitors – these fish sculptures will be on display April 22-July 9. It’s only fitting that the art exhibition will be unveiled during GreenFest, our Earth Day celebration, and will be on display during Sunset at the Zoo, our annual fundraising gala that carries a theme this year of “Green is the New Black”, celebrating our groundbreaking efforts in sustainability. Our recent initiatives include discontinuing the sale of bottled water on Zoo grounds – keeping 60,000 plastic bottles out of the waste stream annually – and building an anaerobic digester which will convert more than 500 tons of animal manure annually into methane-rich gas to power the Zoo’s animal hospital. Be sure to check out the ArtRoad exhibition on your next visit to the Detroit Zoo! – Rachel Handbury is the manager of sustainability for the Detroit Zoological Society and oversees the Greenprint initiatives. From the days of old, salamanders have captured the imagination of humankind. Long ago, when people would place logs in a fire, brightly colored salamanders would often come scurrying away from the flames. 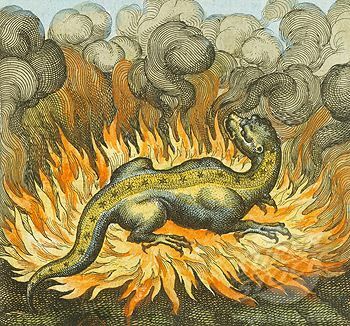 Of course, this was because the salamander’s hiding place was burning, but people in medieval times assumed that the salamander was a creature that came from the flames. People supposed that salamanders were imbued with mystical properties and they became the alchemic symbol for the element of fire. 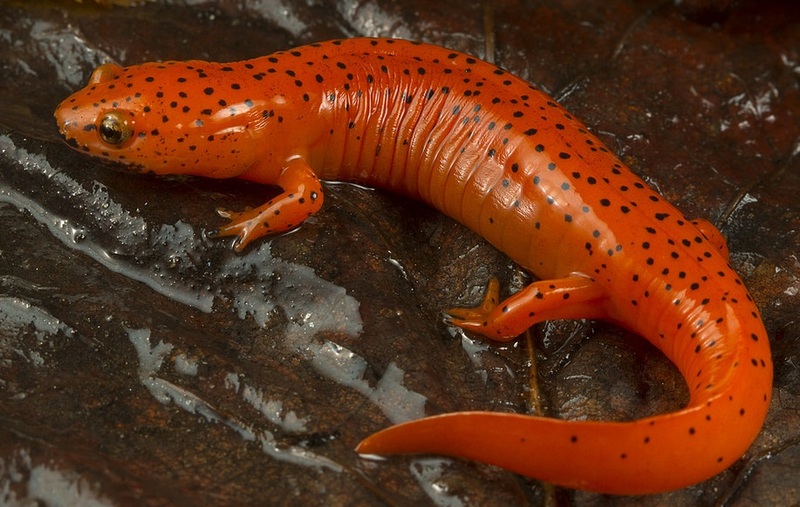 Despite this long-time association with flame, salamanders are unlikely to be found near a toasty fire. There are more than 600 species of salamanders known, and most of them prefer cool, damp places to live. These critters are often found in a variety of places, including under logs, in rock crevices, high in trees, or living in cool bodies of water, ranging from puddles to fast moving rivers. Unlike lizards, which look similar to salamanders, salamanders have moist, scale-less skin. Salamanders use their unique skin to intake water, absorb nutrients, and even breathe. Most species of salamanders are born with a larval stage, similar to the tadpole stage of a frog. 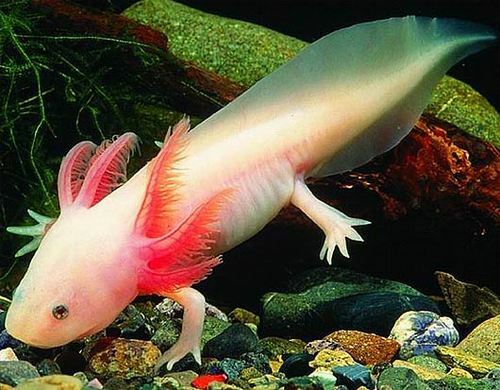 The larval salamander is aquatic, has external gills, and has no limbs upon hatching. As the larva grows, it develops legs. Many species of salamanders undergo metamorphosis, losing their gills and undergoing other small body changes as they transfer from water to land. Salamanders are critical indicators of environmental health, and are key players in the health of ecosystems. These animals serve as sentinels for anything that is changing in the environment. Such changes include pollution, disease or climate change. Almost 50 percent of salamander species are threatened with extinction, according to the International Union for Conservation of Nature (IUCN). The Detroit Zoological Society is working toward preventing these wonderful creatures from going extinct through breeding and release programs, habitat restoration and population surveys. We invite you to celebrate these remarkable creatures with us during a special event called Salamander Saturday on May 6. National Amphibian Conservation Center staff and volunteers will provide informative zookeeper talks, storytelling, games and crafts. This event is free with Detroit Zoo admission. 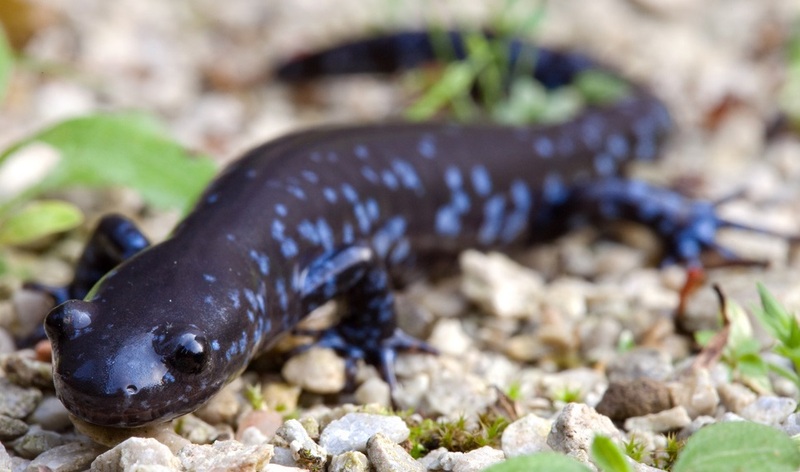 Sneak a peek at salamanders and learn all about these unique animals during this fun family event. – Dr. Ruth Marcec is the Director of the National Amphibian Conservation Center at the Detroit Zoo. For nearly 50 years, millions of people around the globe have been celebrating Earth Day. Held annually on April 22, Earth Day represents the birth of the modern environmental movement and a worldwide demonstration of support for environmental preservation. As a leader in sustainability, guided by our award-winning Greenprint initiatives, the Detroit Zoological Society (DZS) annually holds GreenFest at the Detroit Zoo as a celebration of Earth Day. This year’s event is scheduled for Saturday, April 22, from 9 a.m. to 3 p.m. The event is free with Detroit Zoo admission and includes a variety of engaging activities as well as a sustainability tour – complete with 10 stations that showcase our Green Journey. Upon arrival, guests will be given a “passport” that can be stamped at each of the stations. The passports were created by DZS staff using recycled millage signs and can be taken home and used as a journal. These stations will provide guests with information about our anaerobic digester – the first zoo-based system of its kind that will annually convert more than 500 tons of manure into electricity that will power our animal hospital – as well as permeable pavement, bird-strike reduction, vehicle maintenance, recycling and native-species gardening, among others. In addition, we will be sharing information on how visitors can incorporate these initiatives at home. For example, not everyone can build an anaerobic digester in their backyard, but many can choose to compost their food scraps; we will provide information on how to start doing so. The first 3,000 guests who complete the sustainability tour will receive a reusable bag to help them as they join us on our Green Journey. There will also be a station for folks to take our Green Pledge – several pledges will be selected in a raffle to win a Detroit Zoo reusable water bottle. GreenFest will also include chemistry demos, worm composting education, zookeeper talks, and much more. Additionally, a travelling art exhibition by ArtRoad Nonprofit will be unveiled during the event, illustrating the impact of plastic pollution in the Great Lakes. Attendees who bring a cell phone for recycling to GreenFest will receive a reduced admission price of $9. Admission is free for DZS members. 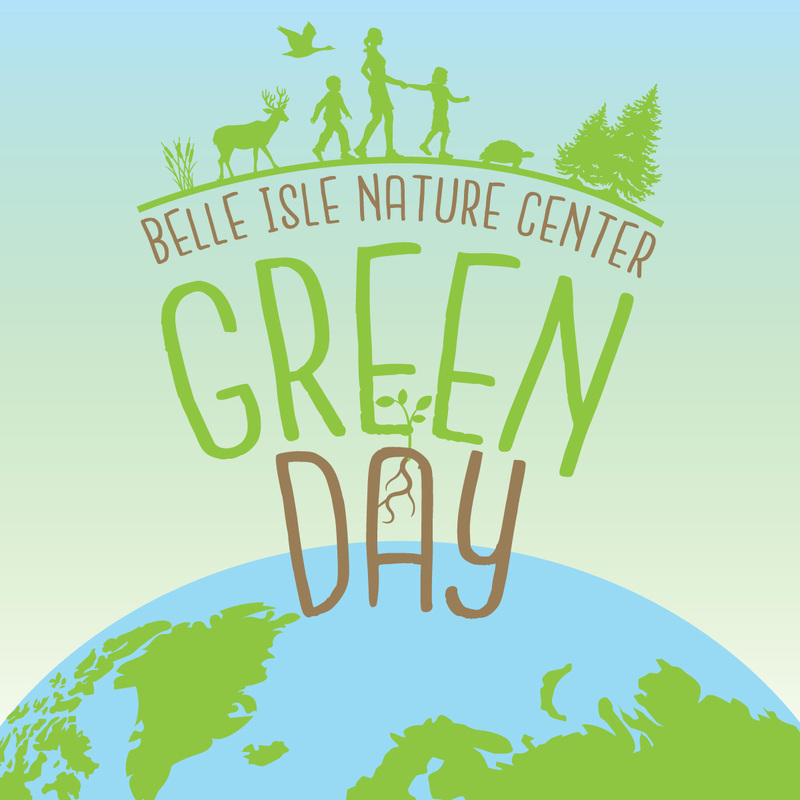 The DZS will also host Green Day at the Belle Isle Nature Center on April 22 from 10 a.m. to 2 p.m. Green Day will feature crafts, games, storytelling, zookeeper talks and exhibits by local conservation groups. Both GreenFest and Green Day events are initiatives of the DZS Greenprint, a strategic plan to refine and improve green practices and facilities at the Detroit Zoo and Belle Isle Nature Center, incorporate sustainability in all policies and programs and improve green literacy and action in the community.